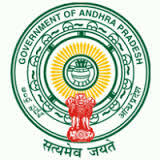 School Education Department – Orders for enhancement of age of superannuation from 58 to 60 years to the employees of A.P. Residential Educational Institutions Society, Hyderabad - Kept in abeyance – Orders – Issued. G.O.Ms.No.27 School Education (TRG) Department, dated 30.06.2015. 2. ORDER: G.O.Ms.No.112 Finance (HR.IV-FR) Department, dated 18.06.2016. In pursuance of the orders issued vide reference 2nd cited, orders issued vide reference 1st cited for enhancement of age of superannuation from (58) to (60) yeas to the employees of the Andhra Pradesh mentioned in G.O.Ms.No.305 General Administration (SR) department, dated 10.10.2014 to serve the State of A.P. working in A.P. Residential Educational Institutions Society, Hyderabad and to the person working in the Institutions located in the (13) Districts of Andhra Pradesh, are kept in abeyance, with effect from 31.08.2016. 2. The Secretary, A.P. Residential Educational Institutions Society, Hyderabad shall take necessary action accordingly. *The Secretary, A.P. Residential Educational Institutions Society, Hyderabad. *The Commissioner of School Education, A.P. Hyderabad. The Accountant General, A.P. Hyderabad. *The Pay & Accounts Officer, A.P. Hyderabad. The D.T.A., A.P. Hyderabad. *The Finance (HR-IV.FR) Department. The P.S. to M (HRD). The P.S. to Chief Secretary, A.P. Hyderabad. The P.S. to Secretary, School Education Department, SF/SCs.